A total loss auto accident can range from a disastrous collision to bumping a deer, depending on the value of the vehicle. Either way, a total loss accident is usually more complicated than getting a vehicle repaired. More steps are involved in closing a total loss claim. Knowing what to do after a total loss auto accident will speed up the claims process so you can get your insurance money fast. A total loss auto claim is not a claim you want to sit on. Total loss claims can sometimes take over a month to finalize and close. The insurance company plays a large role in the speed of a claim, however, you play a part in the speed too. The sooner you file the claim, the sooner the insurance company can start working on your claim. If you think your vehicle has a good chance of being totaled, have it towed to your insurance company’s preferred body shop. Most companies have a few appointed shops they work with directly and it can speed up the claims process to use a preferred shop. If you do not like your insurance company’s preferred body shop, it really doesn’t matter because it’s probably totaled right? They are not going to be doing any repairs to the vehicle. Having the vehicle towed to the preferred shop just makes the claims process faster. Plus, often if you have your vehicle towed to the tow company's lot you will be charged a storage fee. The preferred shop will usually hold your vehicle with no charge. Titles have a way of coming up missing right when you need them. Make sure you know where your title is as soon as you think your vehicle is a total loss. If you have lost your title, file for a lost title at the DMV right away. If your vehicle is a total loss, you will have to sign the title over to the insurance company. 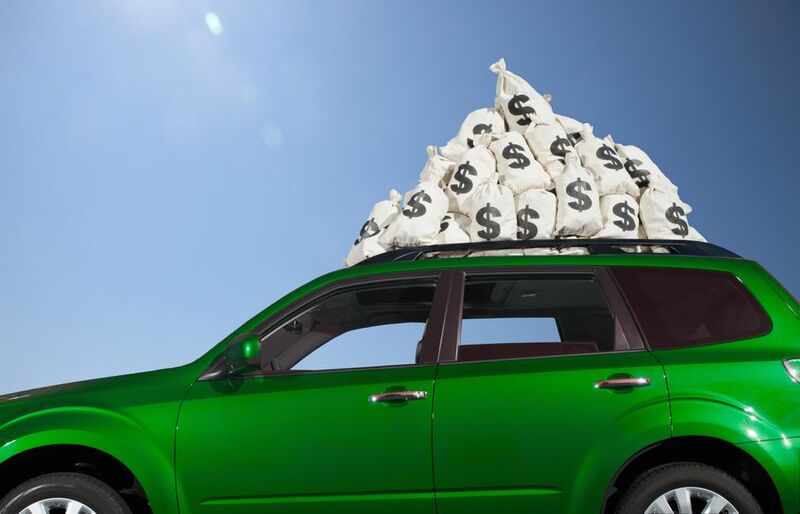 Knowing how much you owe on your vehicle can prepare you in case your auto loan is greater than the current value of the vehicle. Hopefully, if you are underwater on your loan you have gap insurance or loan/lease payoff on your car insurance policy. Total loss claims are not paid out based on what you owe but on the actual cash value at the time of loss. Check Kelly Blue Book for figures on your vehicle. Insurance companies do not base payouts strictly by Kelly Blue Book, however, the site does a good job at placing a value on a vehicle. For someone who is not familiar with car values, Kelly Blue Book is a convenient tool. Check similar vehicle listings in your area. Most insurance claims adjusters go through the same process by checking auto websites, newspapers, and dealerships in the area. Collect receipts of recent major improvements because the upgrades may factor into your final payout. Total loss auto accidents can require quite a bit of paperwork. An agreement needs to be reached on the payout amount of the totaled vehicle. If you have a loan on the vehicle, you will probably need to sign a power of attorney document which will transfer ownership of the vehicle to the insurance company once the loan in paid off. Sign your name exactly how it appears on the title when signing the power of attorney. Ask if you can fax the insurance company the documents from your agent’s office before mailing to speed up receiving your check. Communication is the key for any insurance claim to run smoothly. Take it one step at a time and work closely with your claims adjuster. Make sure the insurance company has a good contact number for you and be available so you are not constantly playing phone tag. If you can survive a major accident which totals your auto, you can survive the claims process.